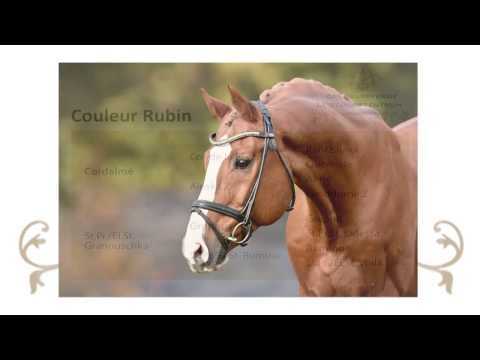 Couleur Rubin, one of the best advertisements for Seifert performance breeding and one of four licensed sons out of Grannuschka that are all highly successful in sport. 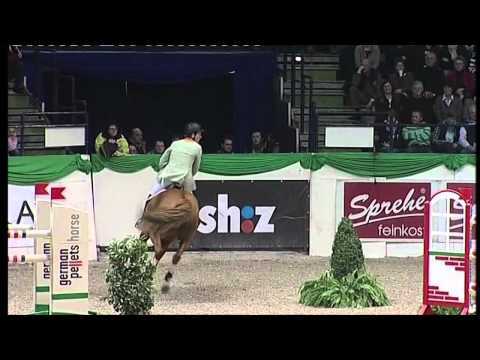 He won the Championship of Basel with Ludger Beerbaum and the Nations Cup of La Baule. He took second place in the Masters League Final in Frankfurt and the Badenia in Mannheim as well as third place in the Grand Prix of Neumünster and was among the top ten in the final of Geneva, etc. In 2012 he was retired from sport. This Cordamé-Grannus son had already revealed his outstanding talent in 1998 when he was licensed in Oldenburg and received the dream score of 10.0 in free jumping, taking the I-i premium. In 2001 Couleur Rubin took the Vice Bundeschampion title in the class for five-year old show jumpers and placed again in the Final a year later in the class for six-year olds. In 2002 he received the VTV Jumper Stallion of the Year award. Numerous descendants, like Cosma Shiva, Clayton Rubin and Cedrik, are internationally successful. Eight of his sons have been licensed, including Couletto, also bred by Harli Seifert, who wins international competitions under Simon Delestre/FRA.